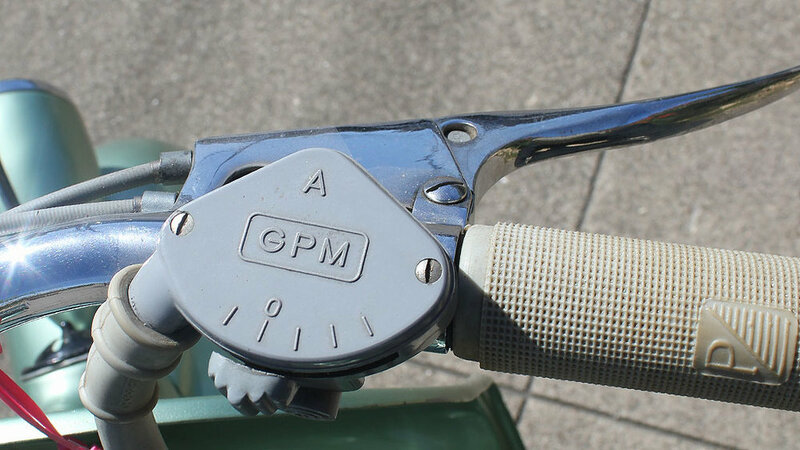 This is a very early model after the transition from the rod gear control linkage. 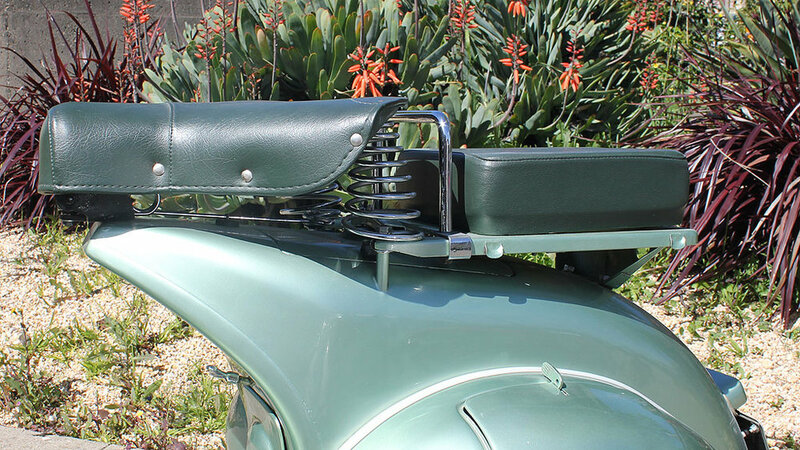 The design is elegant and timeless. 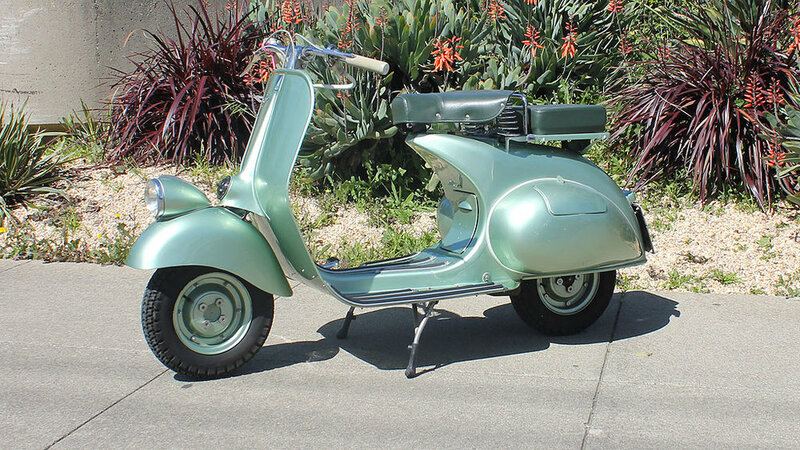 These early 50’s scooters were not originally sold in the US, and are getting very difficult to find even in Europe. 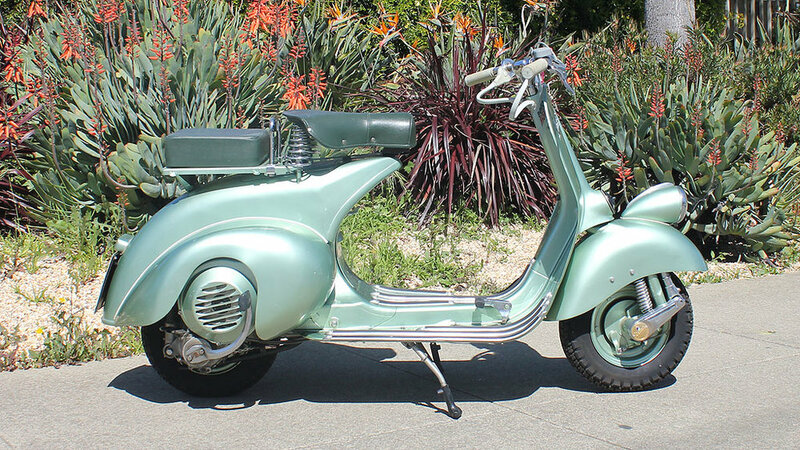 This scooter was restored in Italy before we acquired it, and it still looks extremely nice. 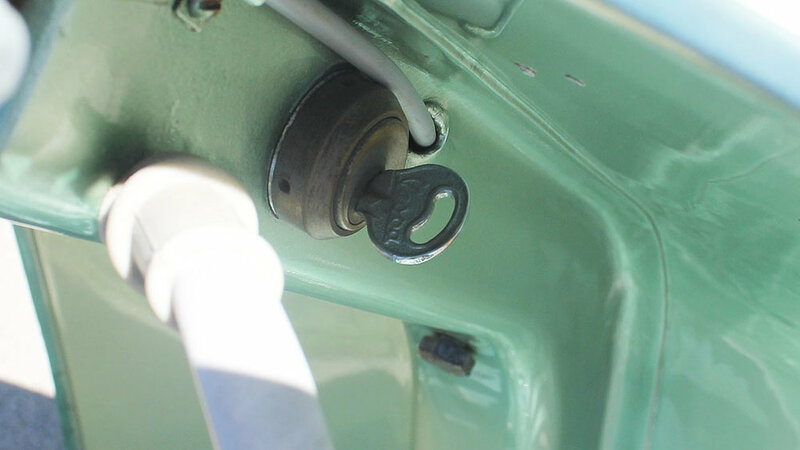 Many nice original touches remain, such as the original “Vespa” stamped key and the enamel “Piaggio” badge.